Krispy Kreme Doughnuts are famous for their delicious baked goods. Australia is the first country outside of the United States to manufacture these glazed goodies. 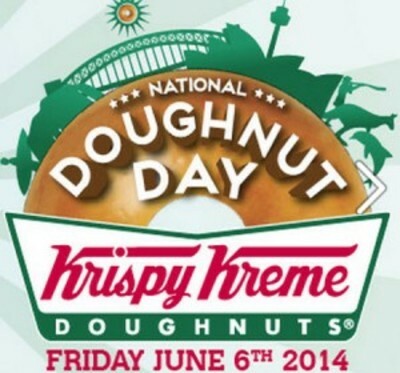 National doughnut day is on Friday the 6th of June. To celebrate, Krispy Kreme are giving away free original glazed doughnuts. To get this offer, you will need to like their Facebook page and fill in the form. You will then be sent via email, a coupon at midnight June 5, 2014. Then you can take this coupon with you and redeem it at any Krispy Kreme store on Friday, June 6, 2014 to for your free doughnut. Unfortunately this is only available to states in Australia where there are Krispy Kreme franchises. ditto helen -it says NATIONAL on the photo though.....they are so good!